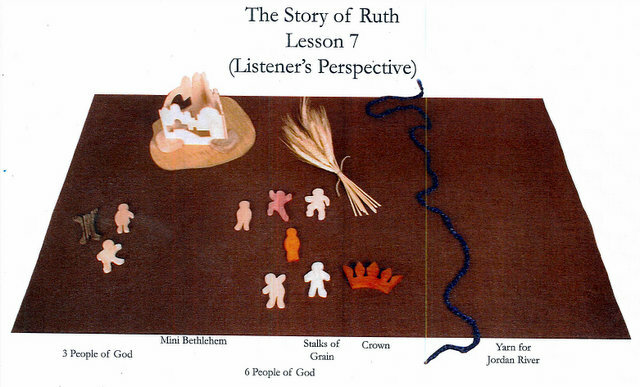 Welcome to the story of Ruth, the Godly Play story scheduled for this Sunday, October 14, based on the book of Ruth. You can find the script for the story in the pink Enrichment Presentations for Fall book, p.66-71. As the book describes, this story doesn’t “unroll” like many other stories, from left to right in chronological order. Instead it moves from the Promised Land (specifically Bethlehem) to Moab and back to Bethlehem. The whole felt block is shown throughout the story. The story of Ruth follows the story of the Tabernacle, in which great emphasis was put on being one of the chosen people of God. It’s wonderful that we now can share the story of Ruth, not one of the chosen People of God, but a Moabite, yet she was clearly valued and loved by God. She married one of God’s People, Boaz, and eventually became the great grandmother of King David (and an ancestor of Jesus!) The story gives us a wonderful opportunity to remind children that God values “other-ness,” that all are included in and welcomed into God’s love and care. There are several ways children and teachers can go with this. 1. Focus on the story itself. a) Let the children act out the story. b) Draw the scenes of the story or make a three dimensional representation of the story. d) Let the children explore wheat. Give each child a single spear (I bought some from Hobby Lobby in the dried flower section) and let them try to separate the grains. Let me know by Tuesday if you’d like me to buy some wheat for your class. 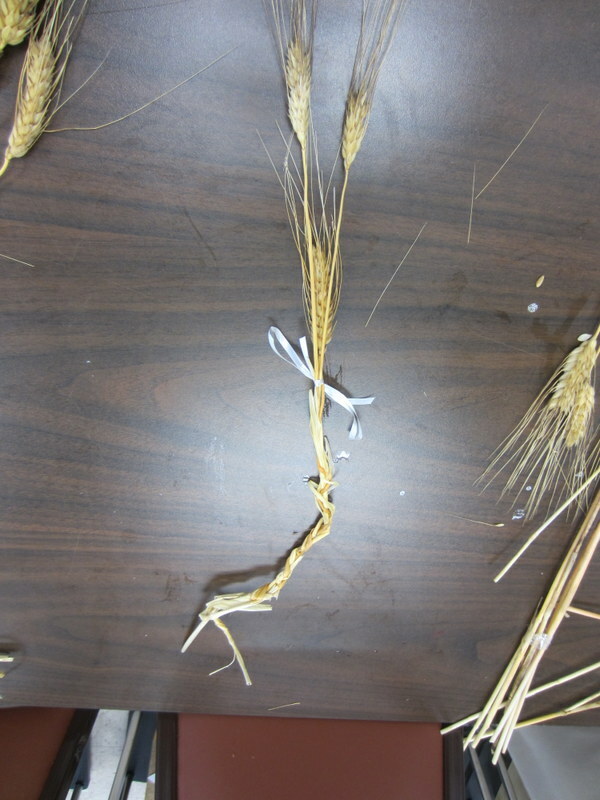 e) Weave wheat into an ornament/hanging as described here. 2. Focus on friendship between Ruth and Naomi. You can concentrate on the theme that friendship and the loyalty that goes with it is a gift from God. a) Children might make friendship bracelets, like those shown here. Or for younger children, make simple strings of beads made into bracelets. We have tons of material for these in the art storage room! Or make a necklace for a friend, as shown here. b) Children could make a mural together of what it means to be a friend- what friends do for each other. 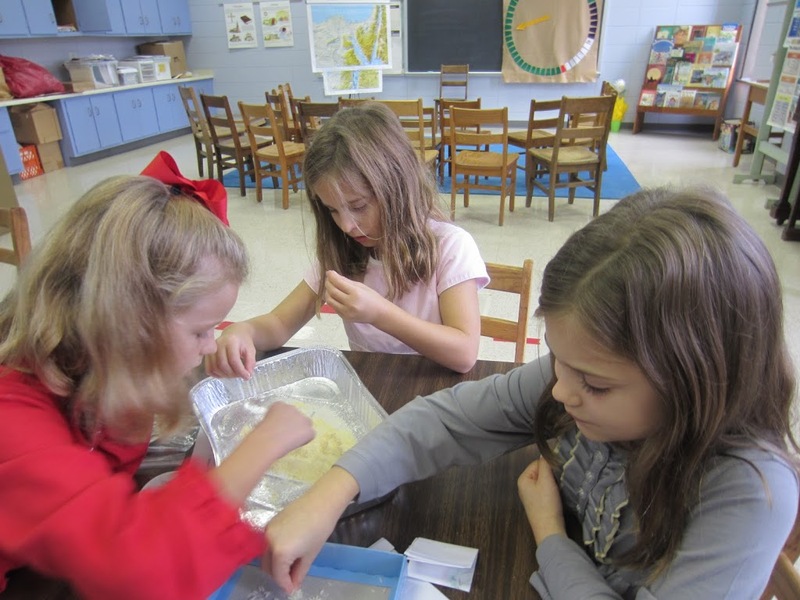 Each child could work individually or in pairs- and put the works together as a mural or for a bulletin board in your classroom. 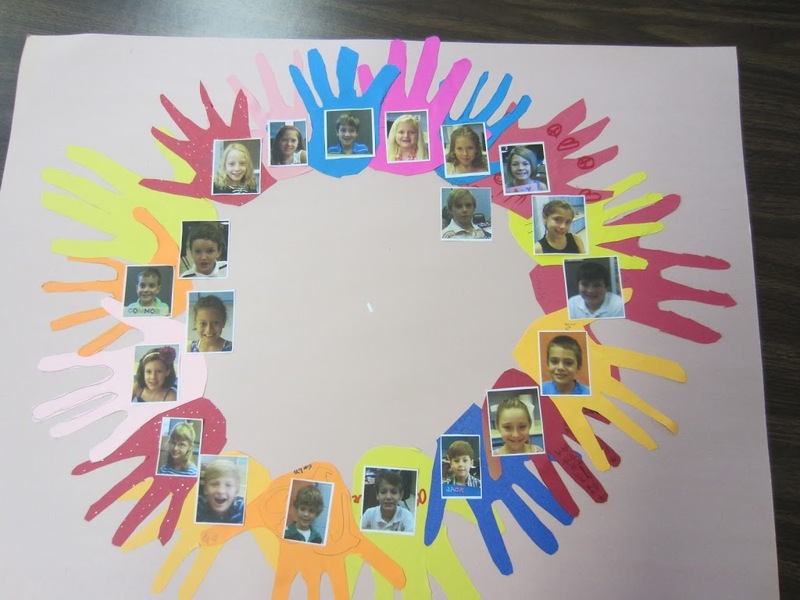 c) Make a Friendship wreath for your classroom, as shown here. d) Examine the song, “Blessed Be the Tie That Binds” and let the children illustrate it. 3. Focus on God welcoming all people. b) Make a God’s Love Note for a friend- like the ones shown here. For more ideas, see my Pinterest Page on the Ruth, here.